It all started with a phone call after school. Michael Perkins spent the 1970s growing up as a teenager in a blue-collar family. 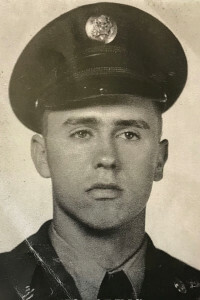 His father, Donald, served in the Korean War, and was now covered in dirt and grease making a living at a body shop in Columbia. Michael picked up the rotary phone as it rang one afternoon after returning home from Hickman High School. On the other end of the line was a recruiter from Columbia College, who was looking to speak with his father. “Why is Columbia College calling my dad? !” the younger Perkins recalls thinking. The recruiter explained the benefits available to veterans like his father, that he could go to school for free – and essentially come out ahead after factoring in the cost-of-living stipend. For a kid whose father finished high school in the Army and hadn’t had the chance to go to college, yet could now get paid to do just that, the opportunity seemed obvious to pounce on. 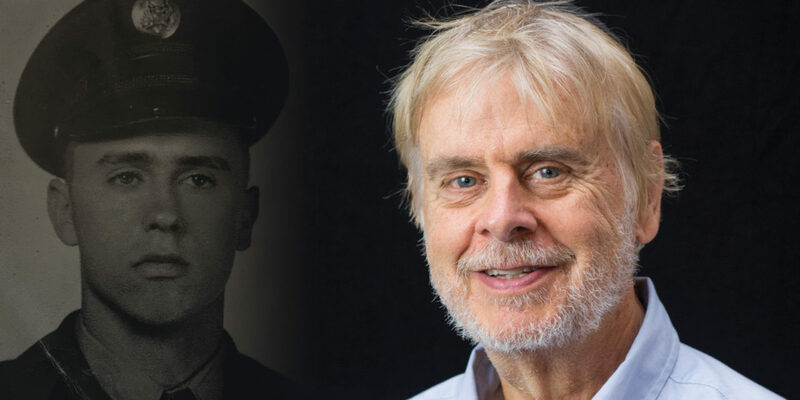 So the man who served his country overseas became one of the first students in Columbia College’s Evening program. “It was a different time; people didn’t do that like they do today. If you’re a blue-collar guy, you didn’t go to school. Colleges and universities didn’t want you,” Perkins says. Yet Columbia College wanted Donald, so in turn, Donald wanted Columbia College. It’s an effort most Evening Campus students can appreciate. After a long day working on cars, Donald retreated to the shop’s restroom, exchanged his grease-covered work clothes for a set of clean ones to study in and often slept in his car until classes began each night. Following several hours on campus, he’d come home late only to get up early the next morning. Lather, rinse, repeat. “It was tough, so any non-traditional student who is working, has a family … that’s a tough thing to do, and this college has been at the forefront; we need to remember that. 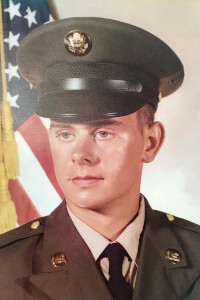 We’ve been innovators,” Perkins says.Perkins got the experience of going back to school as a non-traditional student himself; following graduation from Hickman in 1976, he served as a medic for the Army’s 1st Infantry Division, and a corpsman for the 1st Marine Division in the Navy Reserves. Only after he became a veteran, husband and father, did he set foot on a college campus. 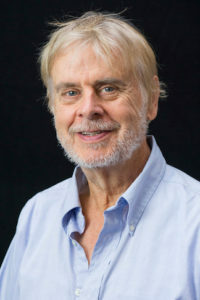 Perkins’ first college graduation had to have been among the most underwhelming in the history of academia – and yet he considers it among his most significant accomplishments. Perkins began his college career at the University of Missouri with the intent of becoming an electrical engineer. “And I proved that I couldn’t be an engineer,” he chuckled. Once engineering was out of the equation, Columbia College’s academic offerings fit his interests much more.He took both day and evening classes, depending on how he wanted his schedule to be, with the help of his own G.I. Bill. Unlike his father, he wasn’t able to take advantage of the program in quite the same manner. “I’d gotten out of the Army, I was married, had two kids. I’d run out of money, and I’d owed the school money,” he says. “So I eventually got the money, I can go pay off Columbia College.”He recalls going to the college to pay his bill and enroll for the next semester. He pondered what had just occurred that day in 1987. “I was just paying a bill, and oh my God, I’ve got a college degree. It was magic.” Two years later, he earned a Bachelor of Arts degree. Perkins recalls former Columbia College President Dr. Gerald Brouder’s hesitance to offer online classes around the turn of the millennium. Columbia College has always been nimble, willing to take calculated risks when others wouldn’t, and that exploring, pioneering mindset has set us apart from other schools. Three of Perkins’ four children, all of whom are grown, have attended classes at Columbia College. His son, Michael, is the only veterinary pharmacist in the state of Missouri. After graduation from Columbia College, he enrolled in pharmacy school at the University of Missouri-Kansas City. His daughter, Hannah, is married, living in New York, and taking classes online at Columbia College. He reflects on what he’s seen over the last 40-plus years. PreviousCC Biz Buzz: Tom Stauder – Is there a Death Tax?